NASHVILLE, Tenn. - May 2, 2018 - PRLog -- GEO Jobe has announced an update to the popular Web Maps for WordPress plug-in to V. 1.3.2, giving the blogging World even more access to maps, web maps and mapping functionality, without leaving the WordPress environment. Using Web Maps for WordPress, quickly and easily search and add interactive maps to your pages and posts using the "Add a Map" button. Users now have one-click access to insert a custom location map inside a blog post. This from Glenn Letham (@gletham), GEO Jobe CMO, long time tech blogger, writer, and WordPress user -"Web Maps for WordPress is the Perfect solution for bloggers writing about any topic tied to a physical location or business - tourism, foodie, news, magazines, travel and beer bloggers are gonna love this!" The Web Maps for WordPress plugin integrates the power of "where" into your pages and posts with interactive maps exposing authoritative content. 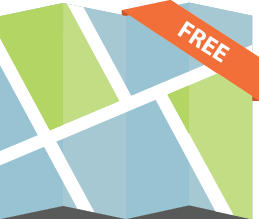 For those wanting even more power from the plug-in, Web Maps for WordPress is designed to bridge the gap between authoritative and community created maps registered with ArcGIS Online and WordPress (the most widely used CMS on the market). Using the plug-in, search public maps available from ArcGIS Online (anyoe can create a free account). All public web maps registered with ArcGIS Online that have a name or contain tags matching your keywords will be returned. While editing pages or posts, you'll notice the addition of an "Add Map" button next to "Add Media". The Add Map button is designed to provide WordPress users with a more streamlined process for embedding web maps in their pages and posts. While very similar to the Add Media button, Add Map puts millions of interactive maps at the fingertips of bloggers. • Add a map sharing the location of a brewery, pub, distillery, winery or restaurant - perfect for foodies, beer bloggers and travel blogs.